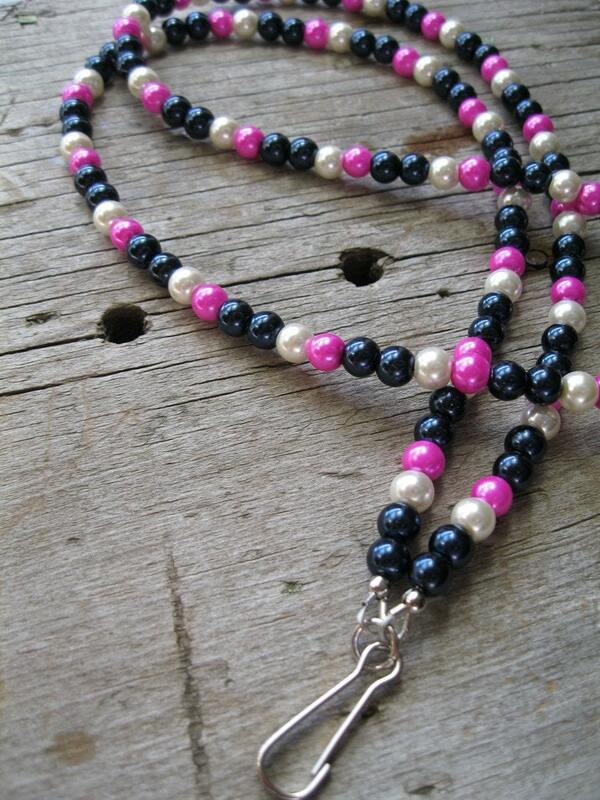 It may be cold out, but this hot pink, navy blue, and white pearl id badge lanyard will warm you up. A perfect twist on traditional baby pink, navy and white combination is certain to turn heads. Wearing a badge doesn't have to be cold and boring with this charmer. The lanyard measures 16 1/4 inches to the bottom of the metal hook. Can't you see yourself wearing a white button down and navy trousers and this lanyard? Yes?! What are you waiting for? Free holiday shipping included! Will ship international, please contact me.